With 20 years experience working his passion in the health and fitness industry, Joe has a wealth of knowledge and first hand experience. Joe’s journey towards a lifetime of vitality began at the age of 14 when his father suggested (or most likely, urged) Joe to join him at the gym every weekday morning before school. At the time, Joe was 15 kilograms overweight. Despite being fairly active in team sports and athletics, Joe’s weight had steadily crept up to the point where it was having a toll on him physically (not being as fast and agile as his peers when playing sports) and emotionally (being constantly teased and feeling insecure about his physique). After a little gentle coercion and encouragement, Joe and his father began a daily ritual that at the time seemed no more than an arduous chore to lose a few kilograms. Fast forward 22 years, and the benefits gained, lessons learned and impact on the next generation are crystal clear. As a direct result of taking those first steps, Joe’s interest in anatomy and movement were sparked. At the age of 16, Joe completed a fitness instructor course (and then subsequently courses in personal training, indoor cycling and pilates) and was given the opportunity to work his passion at his local gym. Being faced with Sports related injuries was the next light bulb moment which gave Joe the push towards a career in manual therapy (massage, chiro, reflexology) to provide the required treatment, adequate referral and lifetime management plan to give clients the ability to live pain free and perform at their best. Continuing professional development is integral to maintaining best practice and outcomes for clients. Joe has attended numerous ongoing education courses, workshops and seminars. More recently Joe was offered the role of National Clinical Educator for Spidertech Kinesiology Tape. Over the past 2½ years Joe has run seminars, workshops and presentations to thousands of manual therapists, practitioners and medical doctors in the theories, principles and practical application of Kinesiology Tape. 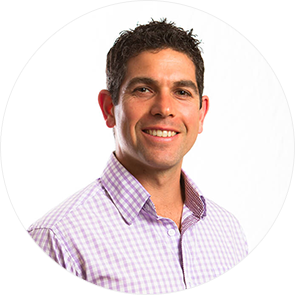 Joe is regarded by his clients as a health, fitness and lifestyle educator, trainer and motivator. His passion for this has expanded to the corporate world, being sought after to conduct motivational presentations in workplace wellness, posture, ergonomics, work-life balance and manual handling compliance. Living life by the saying, “If you want to be in front, act as though you are behind,” Joe practices what he preaches, inspiring and encouraging everyone that he meets to make the choice to live an active, health life.